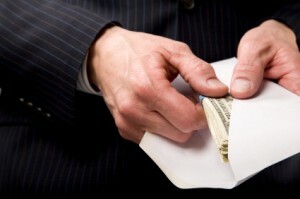 The FBI has pumped up its enforcement of overseas bribes made by U.S. companies to win contracts. Bloomberg reports the bureau has added 40 lawyers and agents who will sniff out foreign bribes. Anti-bribery units have begun working to uncover crooked deals in places like Africa, Asia and South America. The FBI is using wiretaps and informants to help infiltrate crooking dealings. Posted: 2/11/16 at 9:05 AM under News Story.